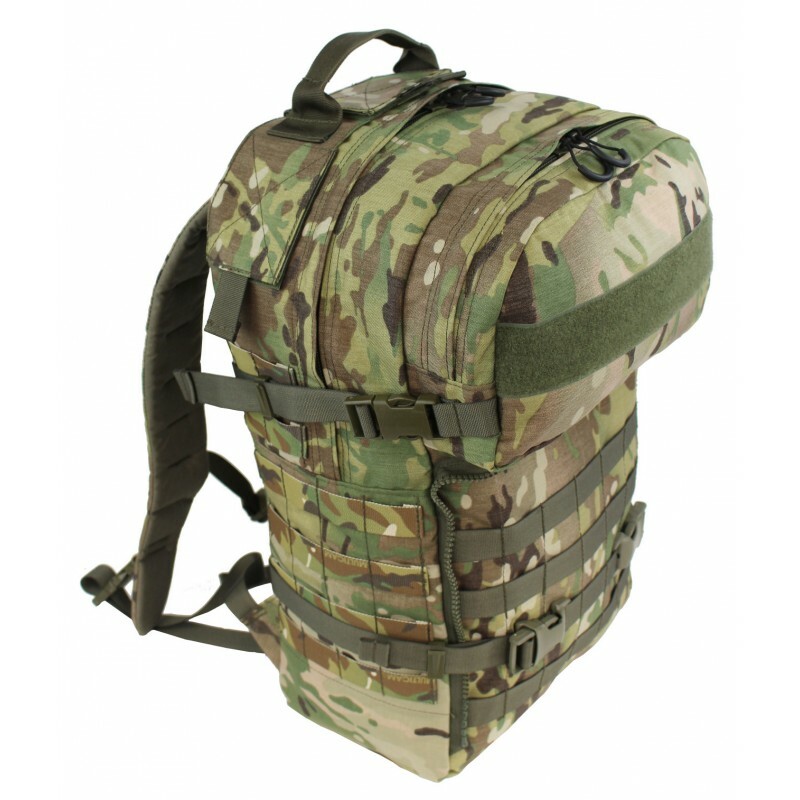 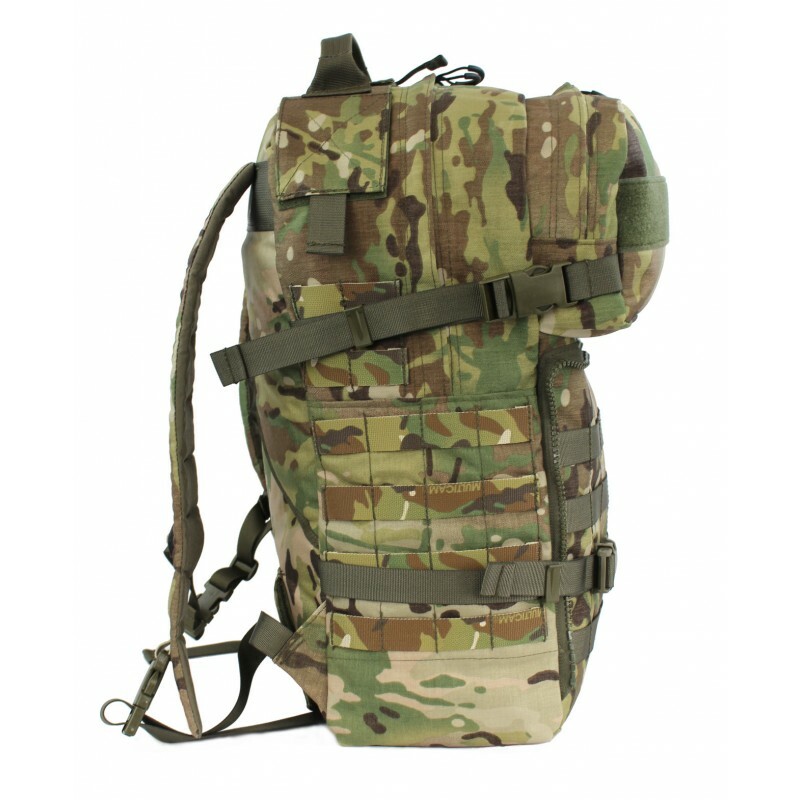 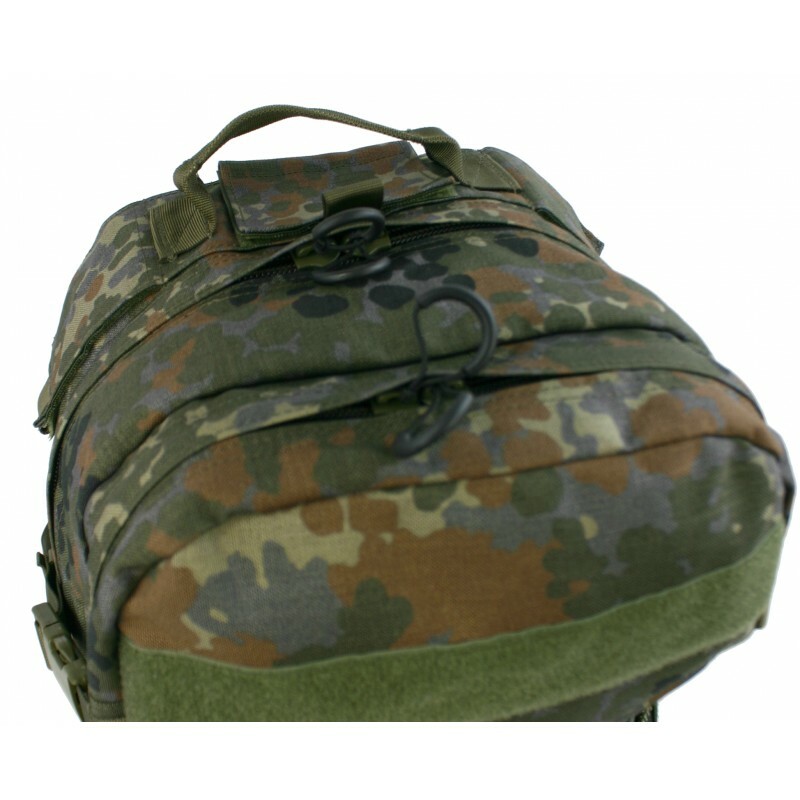 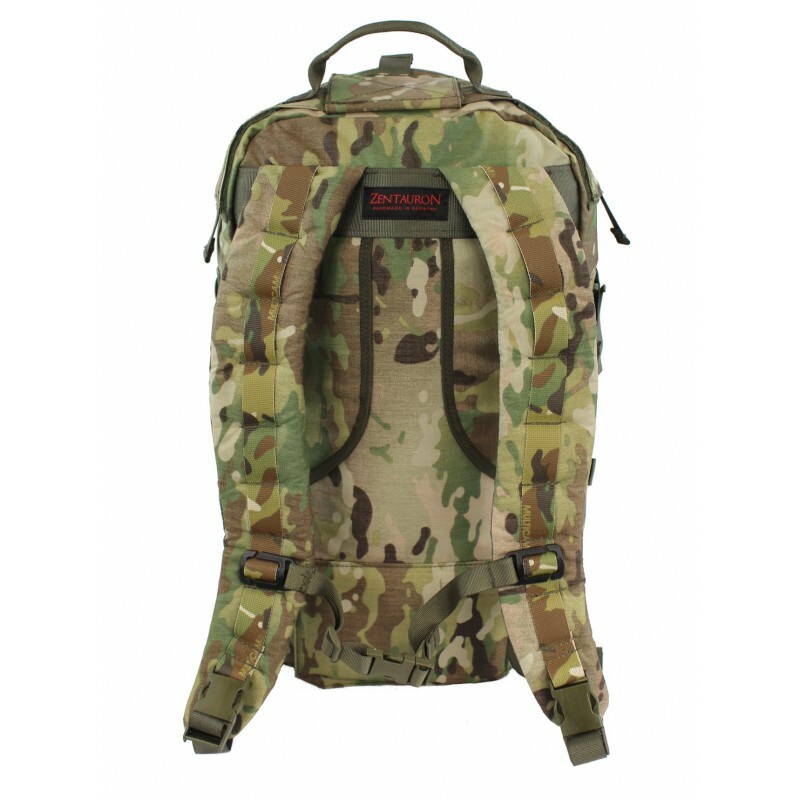 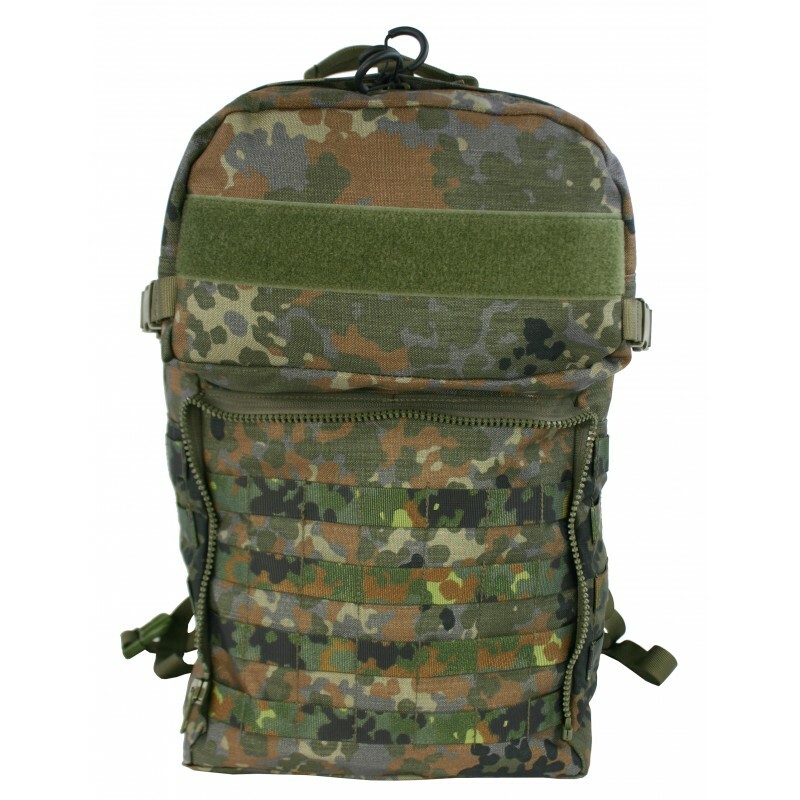 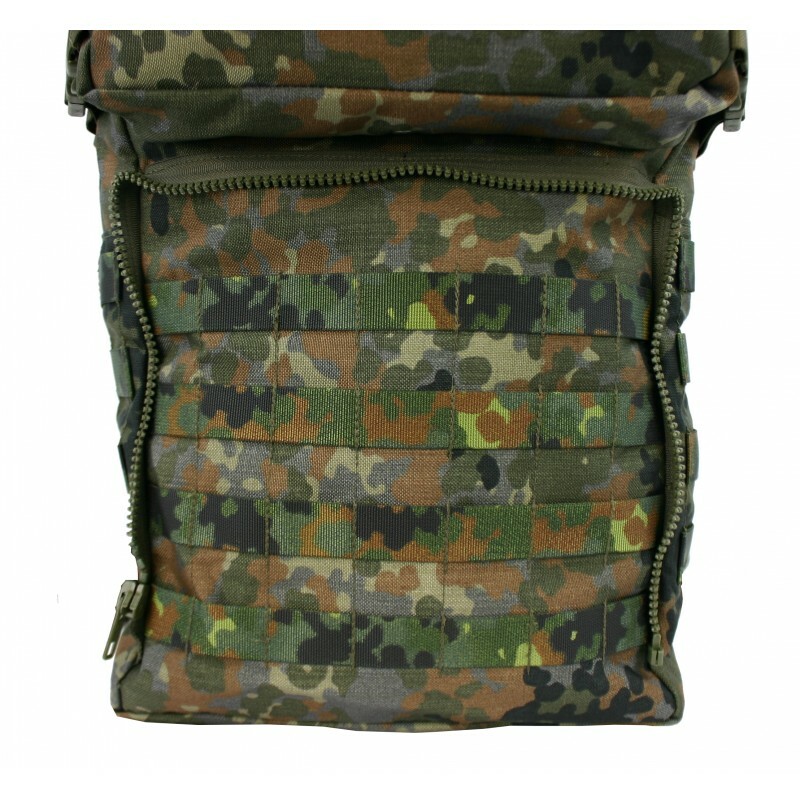 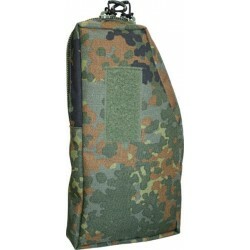 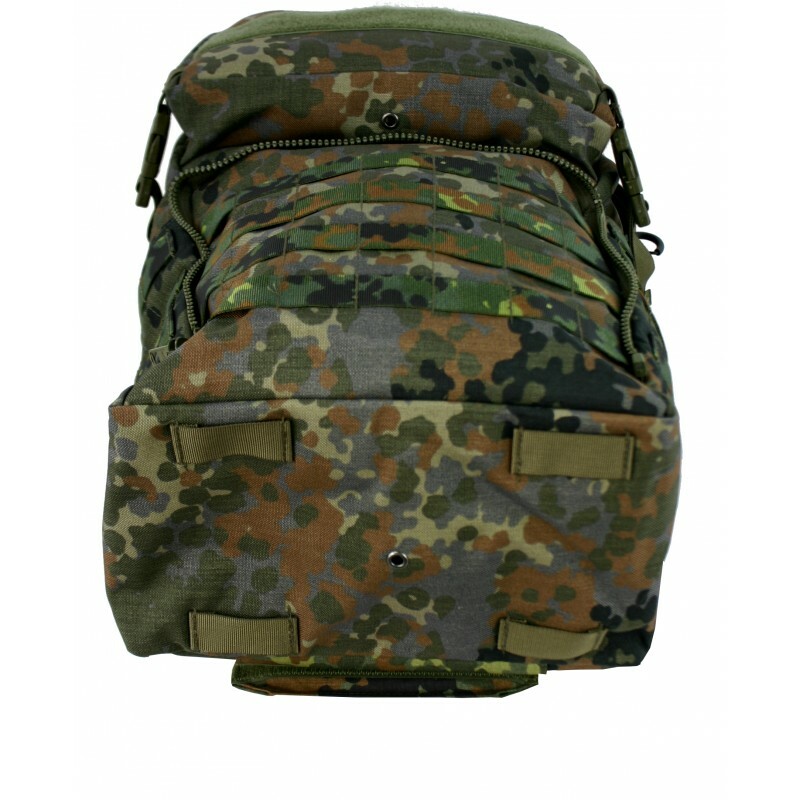 This backpack is strongly influenced of the appearance of the standard backpack, to make it more difficult for enemy forces to distinguish the specialized soldiers from all others. 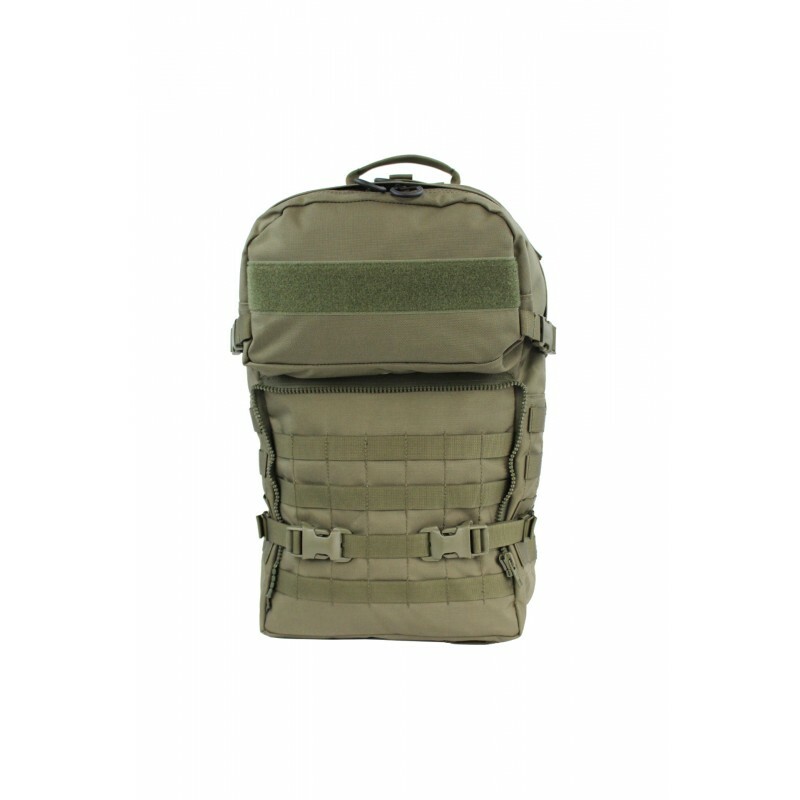 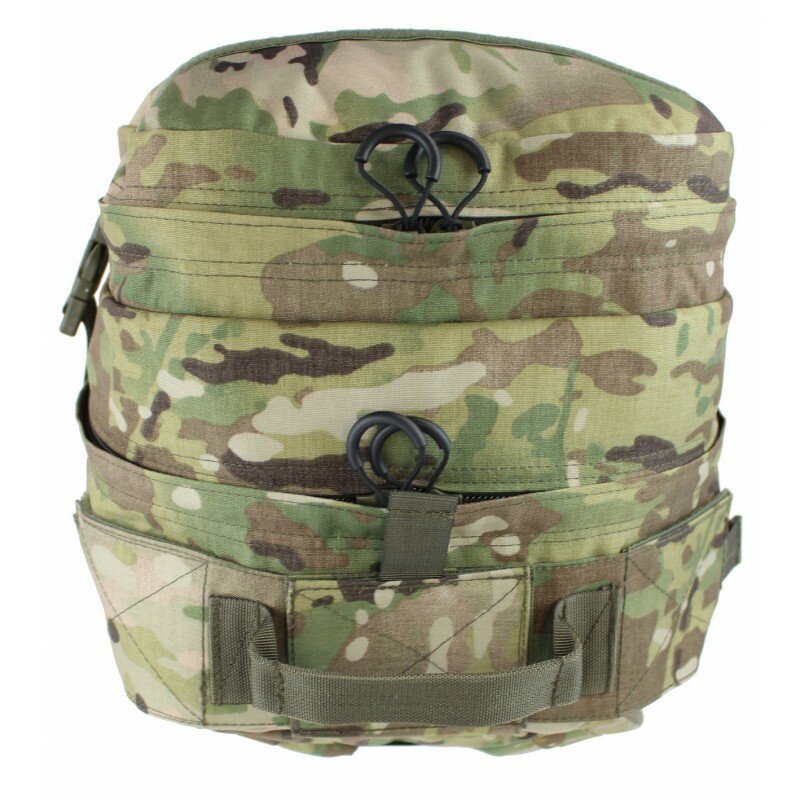 In order to carry out the varied tasks in an infantry unit, they need an extremely versatile backpack. 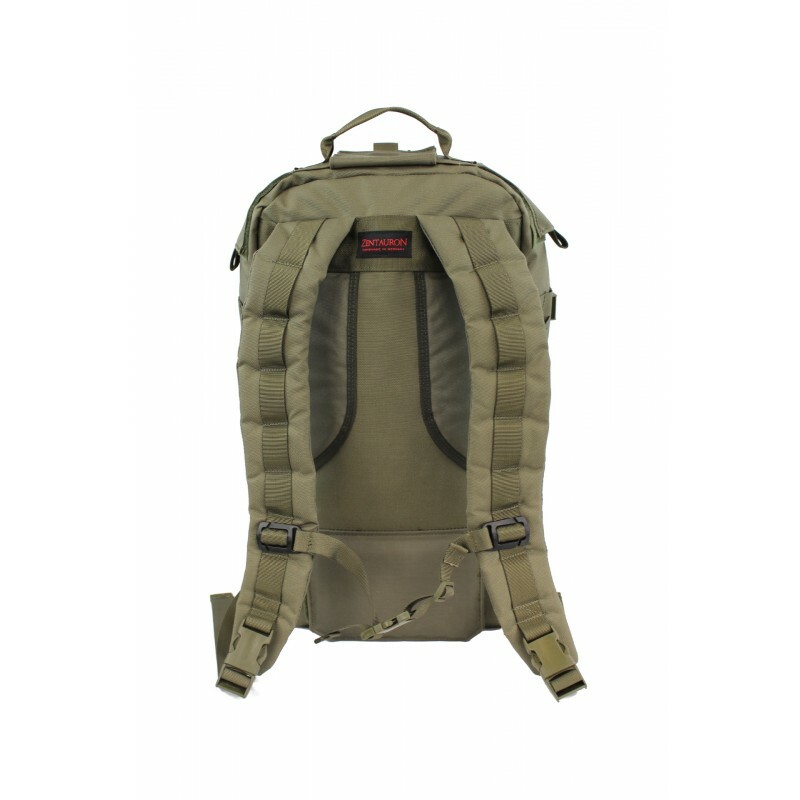 The Mission Backpack Specialized can be converted with the optional accessory pouches, which have a splittable zipper in the front, into independent systems. 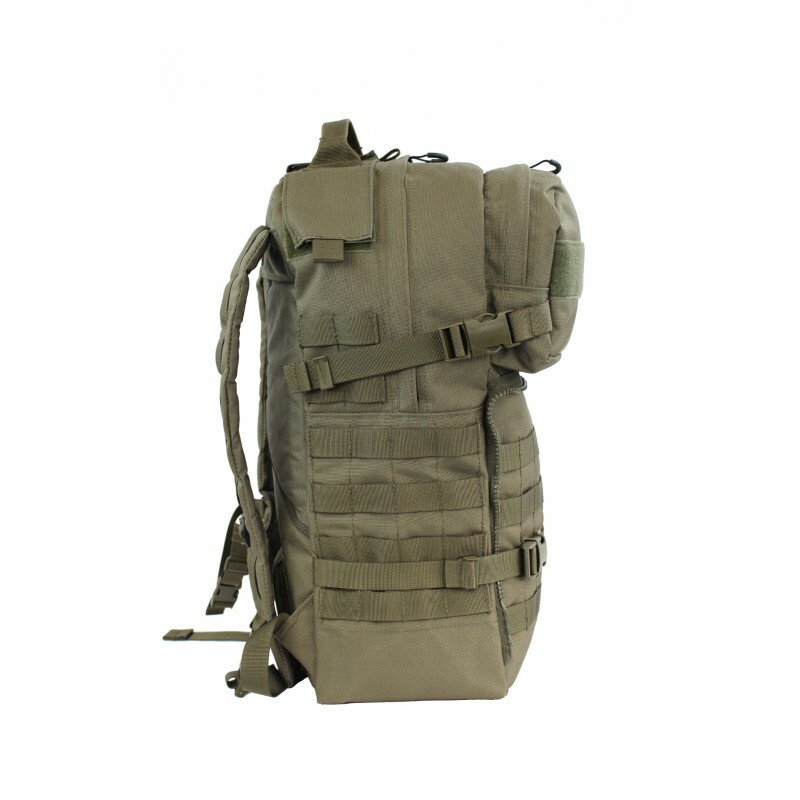 Several bags are available for this purpose, the Command & Control ZIP ON Module and the Multi Function ZIP ON Module. 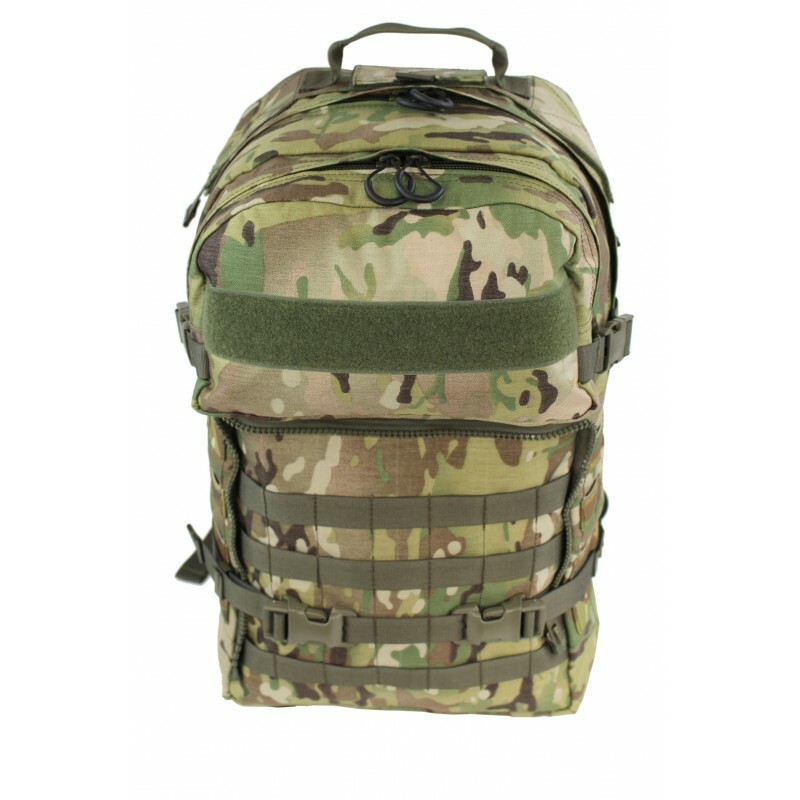 The Command & Control ZIP ON Module is designed to take military maps, tactical computers and radio equipment, therefore it's ideal for advanced observation and enlightenment or for FAC's (Forward Air Controller). 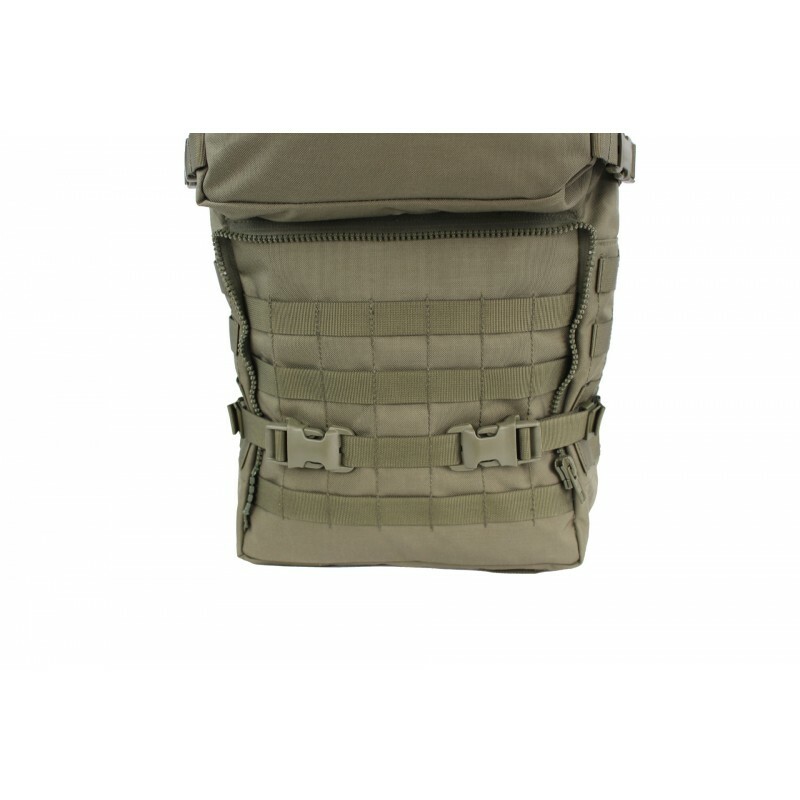 Inside is a carrying device, in which radio equipment, Molle-bags or other heavy objects, like ammunition and weapons, can be reliably strapped in. 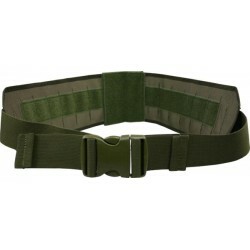 The optionally available, velcro detachable Smartbelt ZFR unpadded or Smartbelt ZFR padded completes the carrying system. 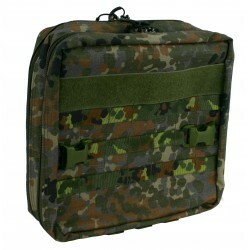 Right and left beside, as well as under the carrying handle on the lid are 3 velcro-flaps, which serves to pull through cables, antennas and drinking tubes. 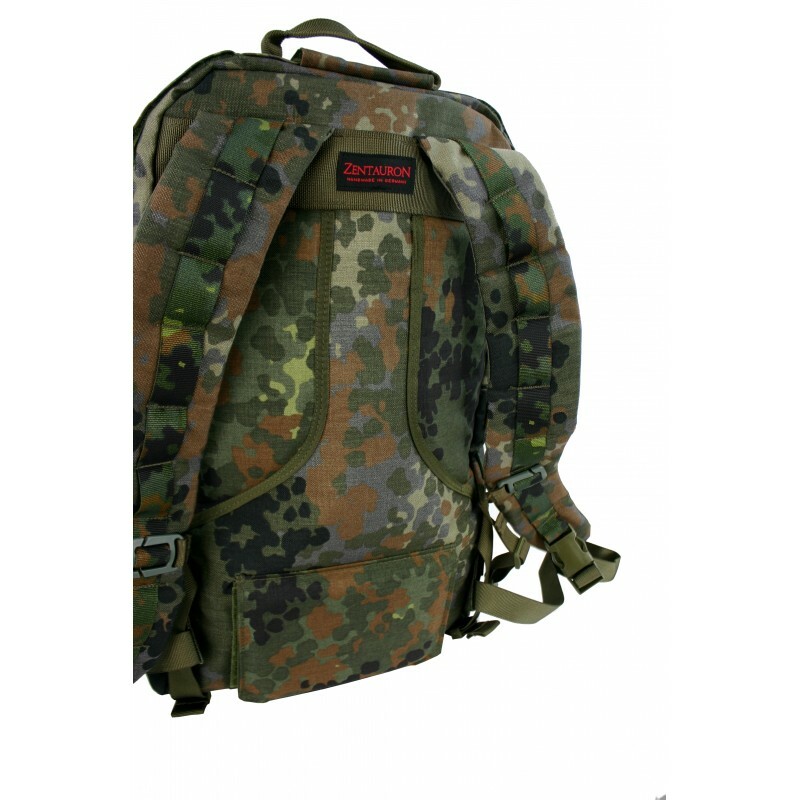 The sides are generous covered with modular loops, to which you can attach our Side-Bag Mission Pack, which we have designed specially for this backpack. 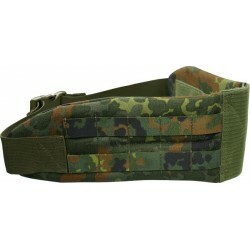 On the front is a separate zipper compartment and the zipper closure for the special pouches, as well as modular loops. 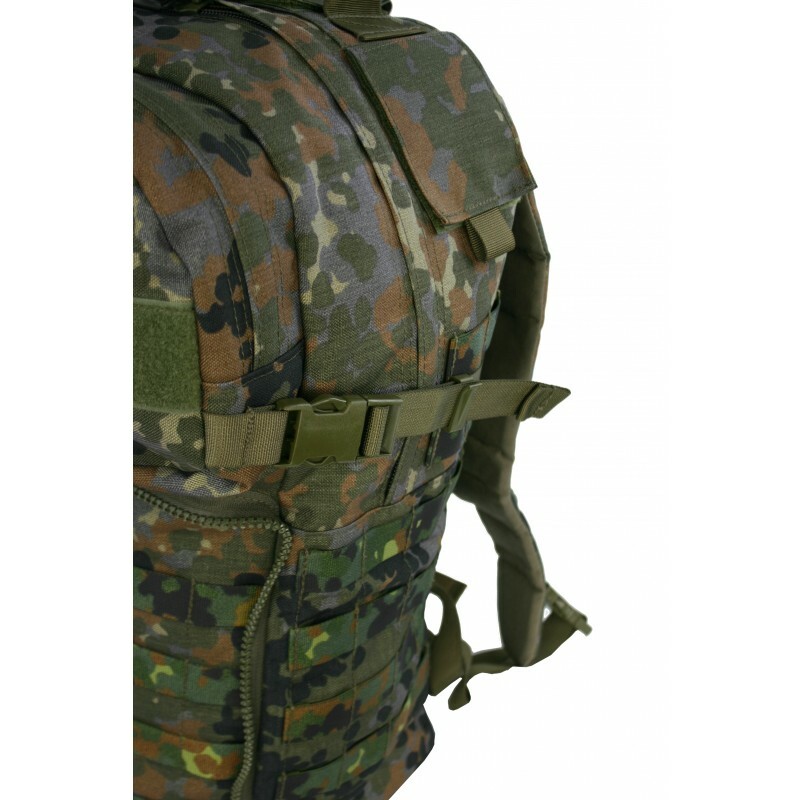 Four compression belts, of which the two lower ones can be offset with QASM buckles from ITW, stabilize the load and can be opened quickly. 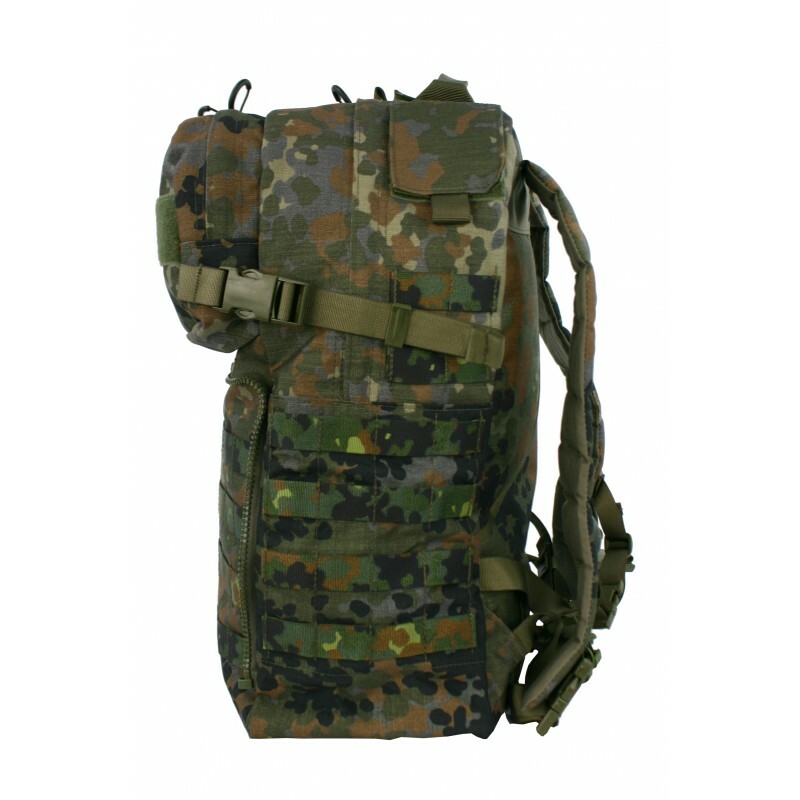 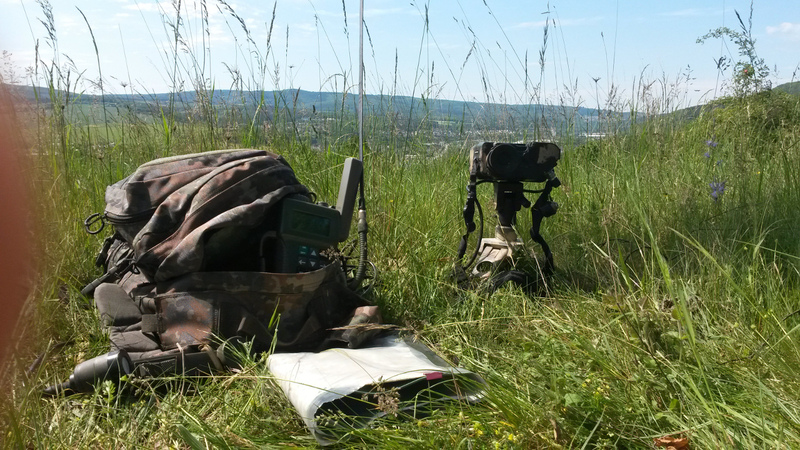 With the mission pack system you can fulfil all tasks of a military operation. 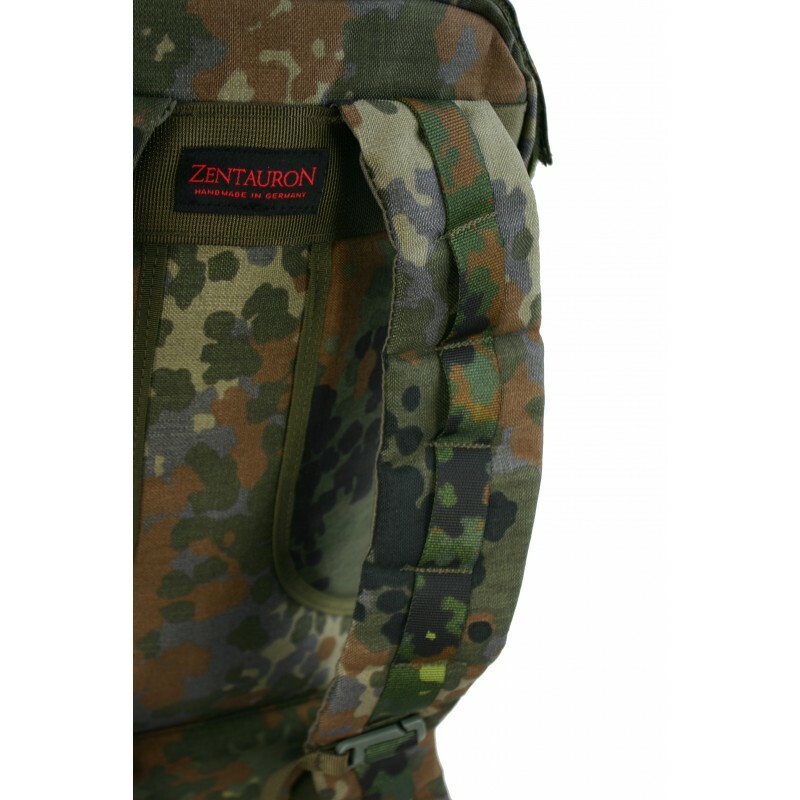 Their carriers are protected by the uniformity of the silhouettes.